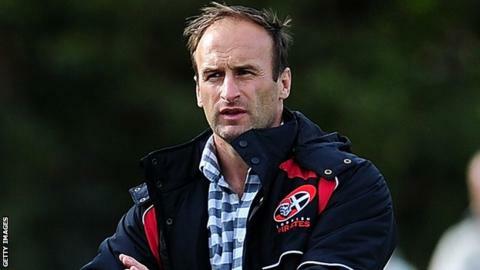 Cornish Pirates backs coach Gavin Cattle admits it will be a tough task for the club to make the Championship play-offs this season. Having started the campaign with just two wins in nine games, the Pirates won their next five matches before last week's loss at Yorkshire Carnegie. The seventh-placed Pirates go into this weekend's game against London Scottish 16 points off fourth. "It's going to be a tall order to get into the top four this year," he said. "But it starts this weekend, and if we can get a result this weekend we've still got to play the likes of Doncaster and Bedford and we're going to need to turn top-four teams over just to get in there. The Pirates were bottom of the table during their poor early run. However, Cattle told BBC Radio Cornwall his side's improvement over the past few months will stand them in good stead for the rest of this season and beyond. "As a coaching team, and as a group, we've seen those small strides and then the results have followed," he added..
"For me it's just keeping that momentum going and just giving us the best chance and if the top four comes, then so be it, if it doesn't then we'll be in a better place for next year."